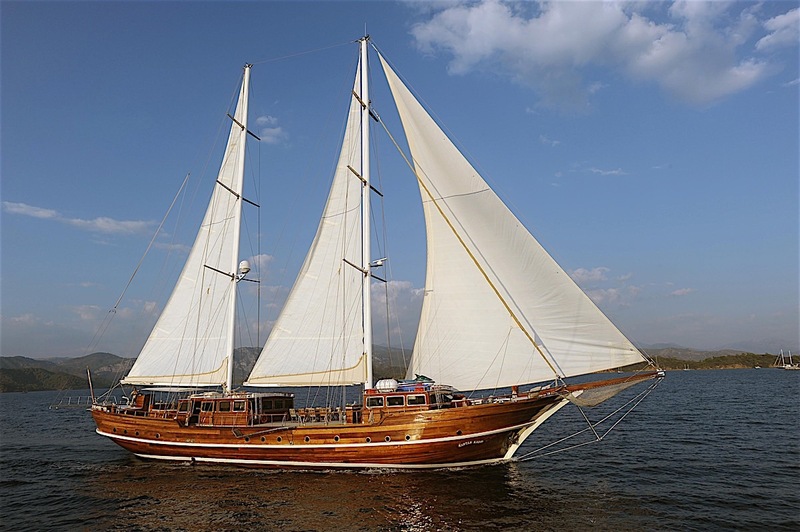 Motor sailor KAPTAN KADIR was built by Turhan Yachts in 2004 and refitted in 2009 and again in 2016. 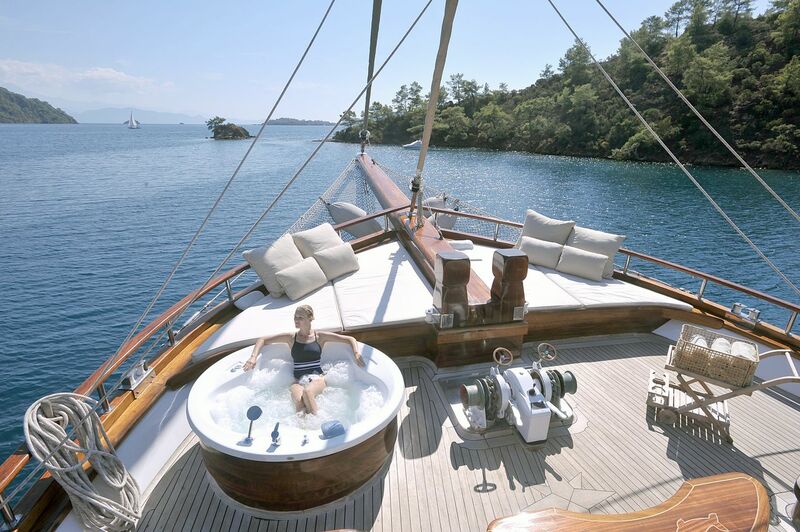 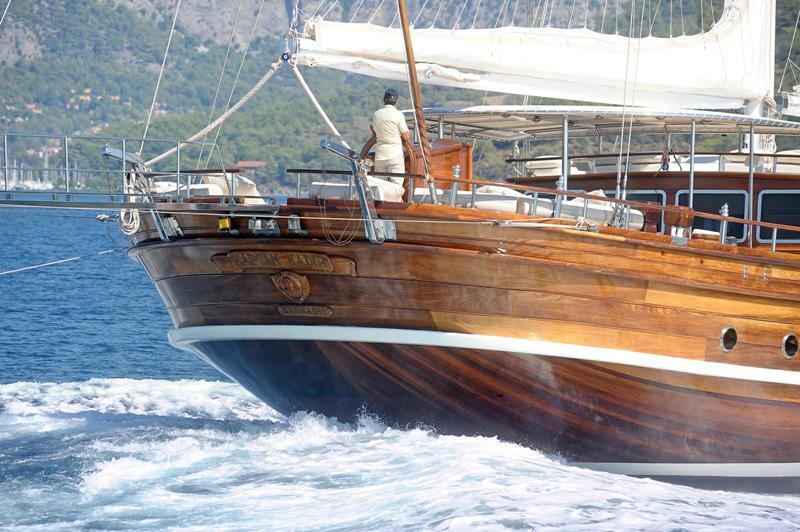 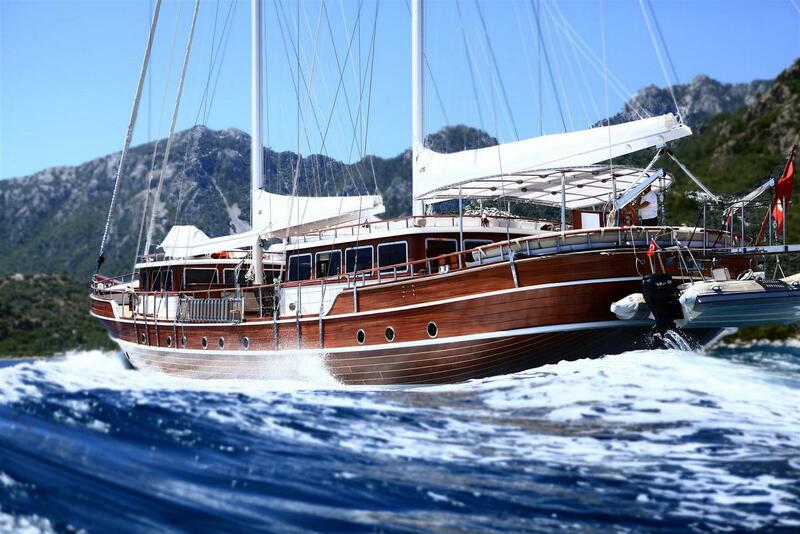 S/Y KAPTAN KADIR’s all mahogany hull measures 37m (121.3ft). 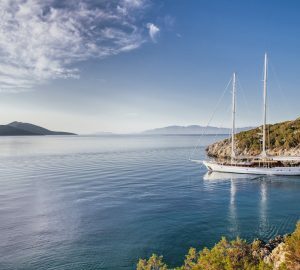 Offering accommodation for up to 12 charter guests, in 6 deluxe cabins, the KAPTAN KADIR sailing yacht is the ideal choice for a relaxed and refined, Greek yachting holiday. 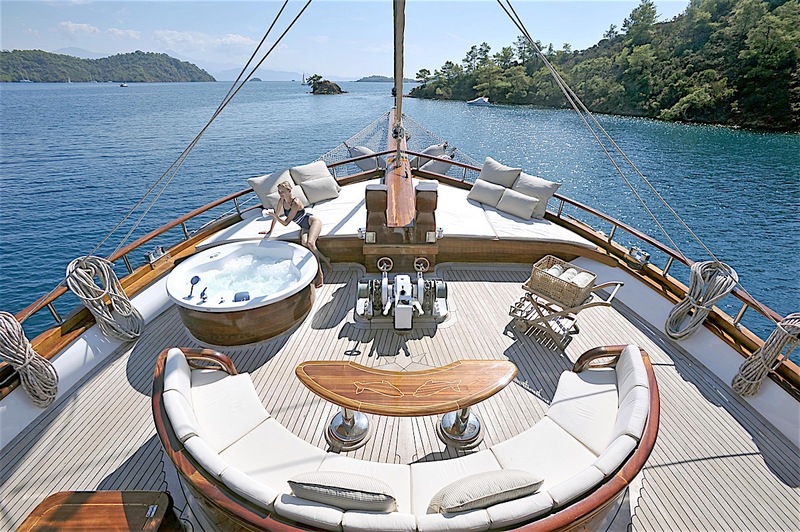 Crewed charter yacht KAPTAN KADIR has an elegant interior, clad in fine joinery throughout, she boasts a sense of endless space, complimented by traditional flair and modern amenities. 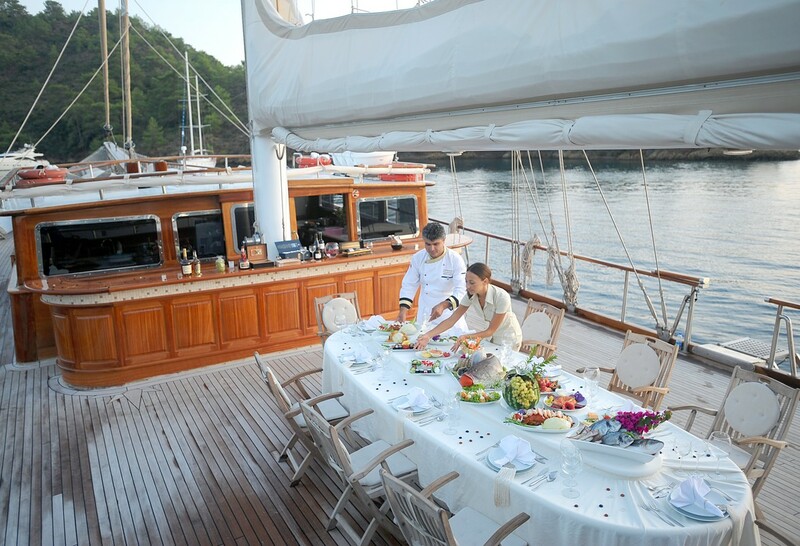 The salon and dining are an open plan in a raised cabin house, providing unrivaled views and optimum natural light. 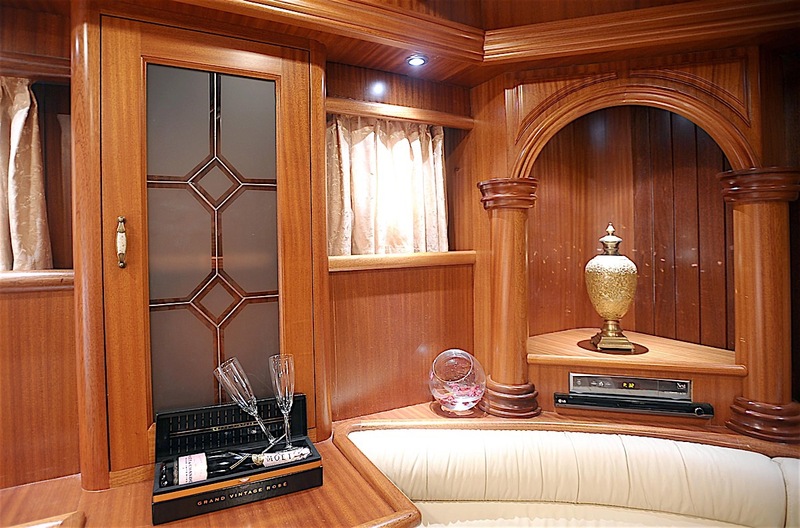 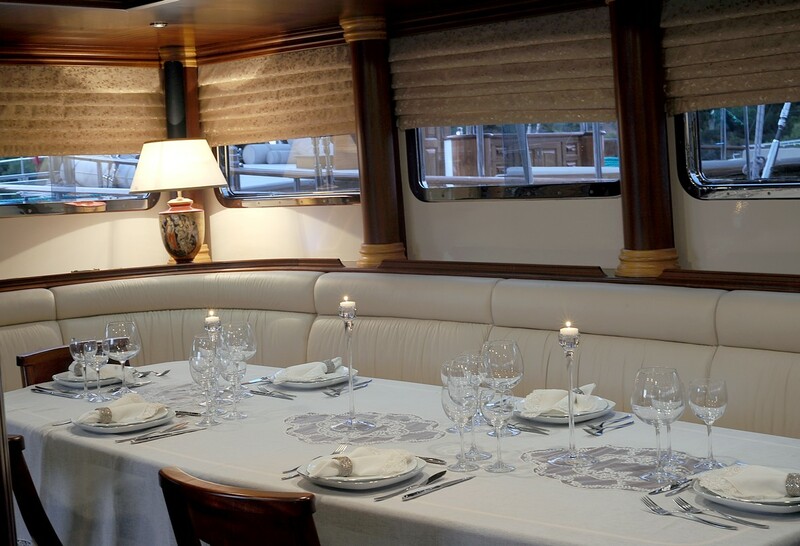 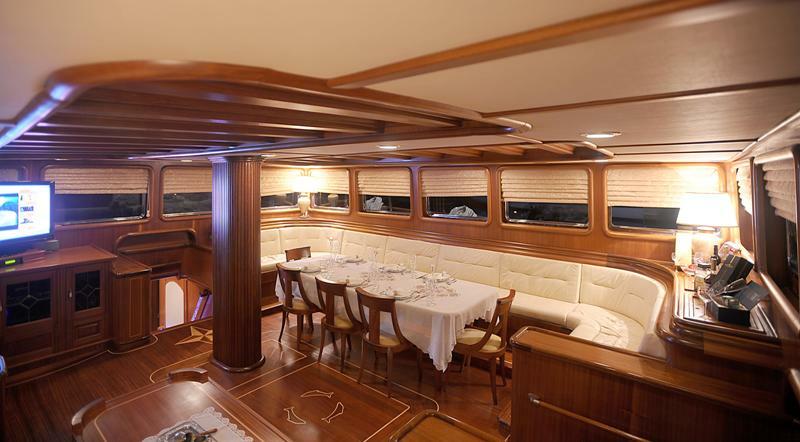 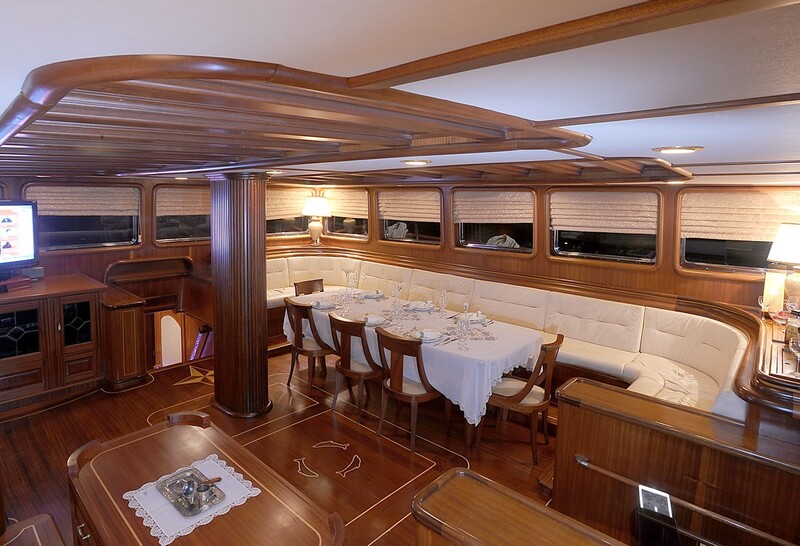 The formal dining table sits to starboard, while the comfortable lounge is on port. 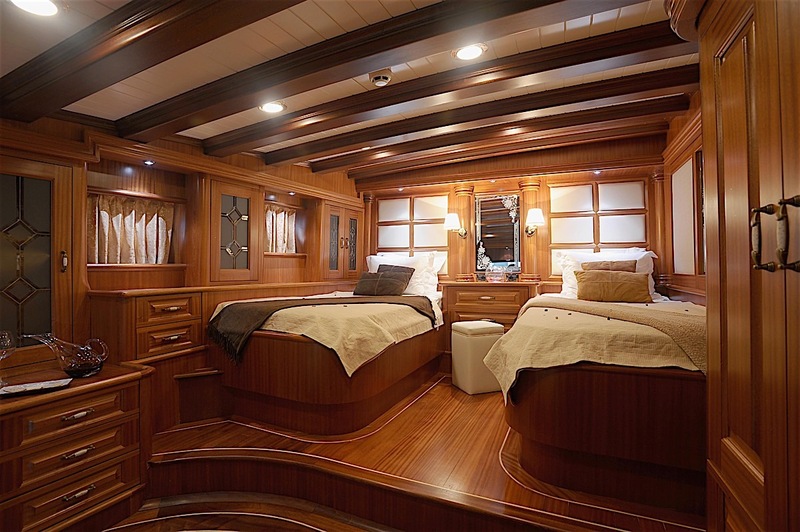 Guest accommodation is below decks, in 6 serene en-suite cabins. 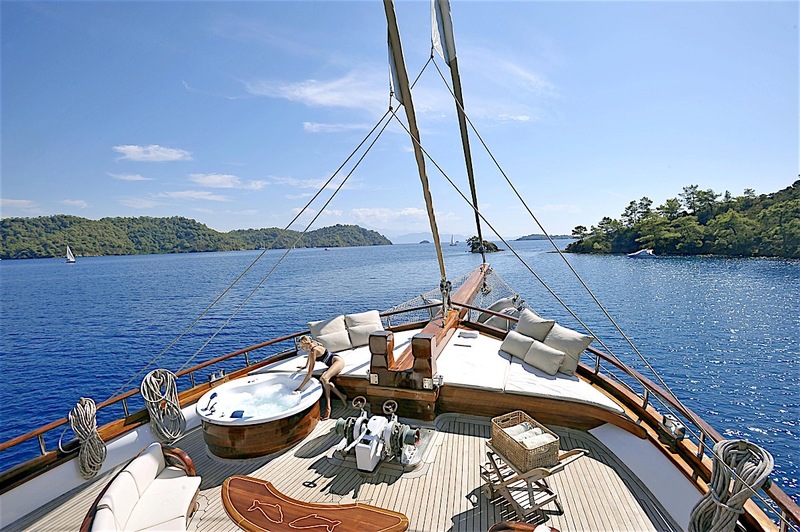 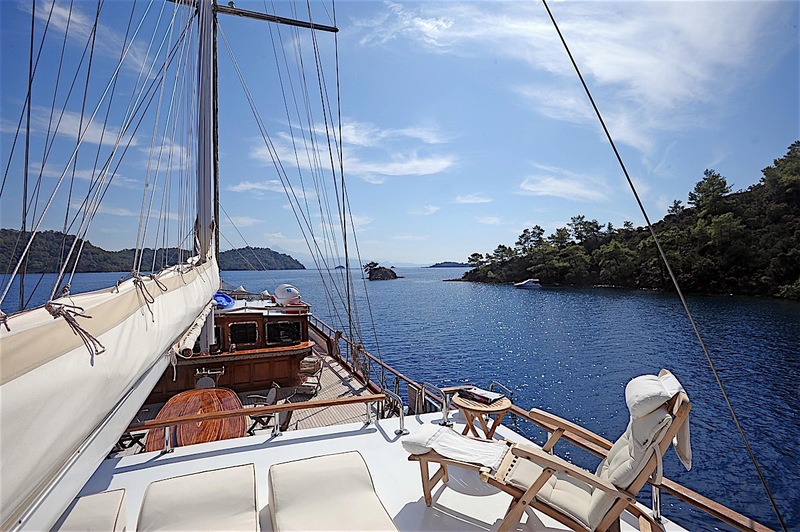 Exterior living is ample aboard the schooner rigged sailing yacht KAPTAN KADIR. 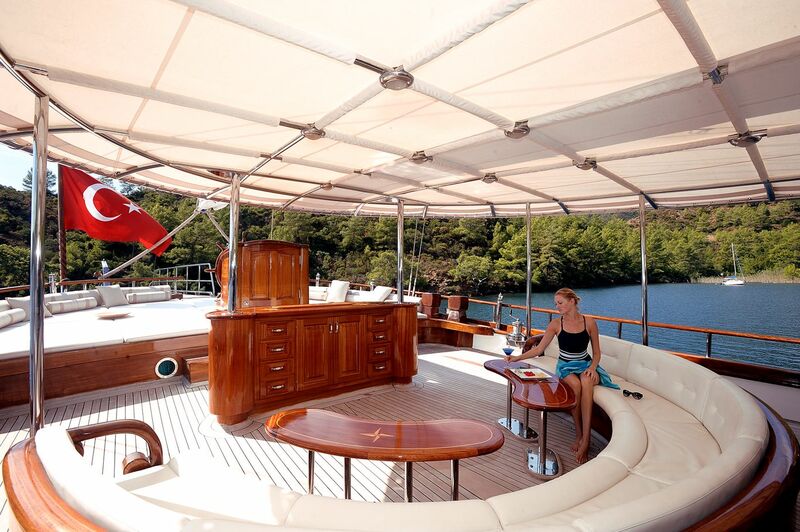 The aft deck features a shaded alfresco dining and cocktail area, followed by a full beam aft sunpad, making the space ideal for entertaining. 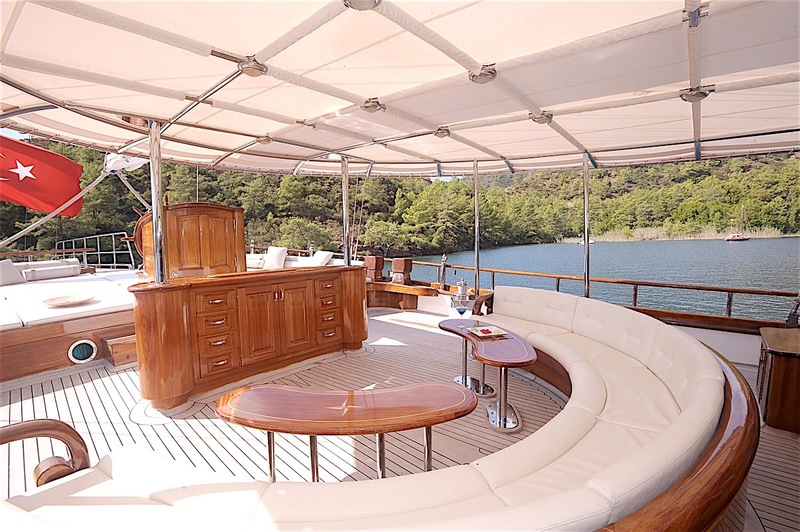 Side decks lead forward effortlessly to the expansive foredeck, complete with a large forward sunpad, luxurious Spa Pool tub and built in semicircular seating area with table, perfect for an evening aperitif. 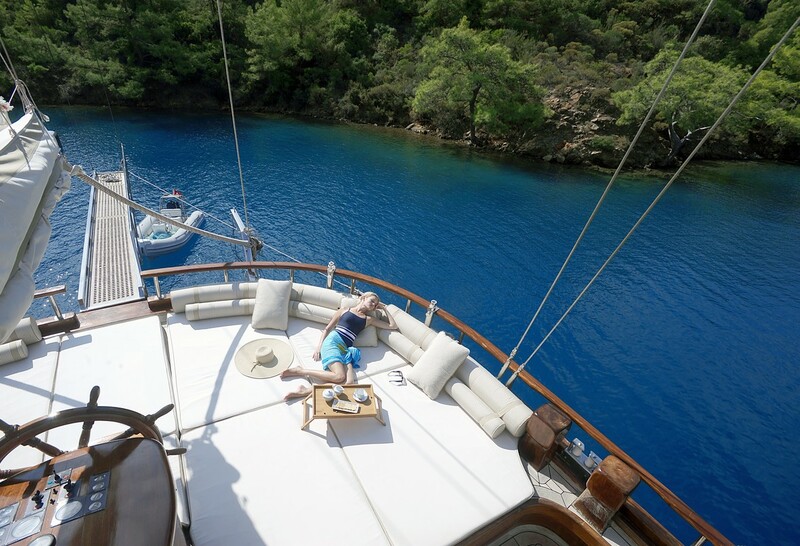 For the sun worshipers, ample sunpads on the main cabin house are ideal for soaking up the warm sun, whilst providing idyllic views, thanks to their raised position. 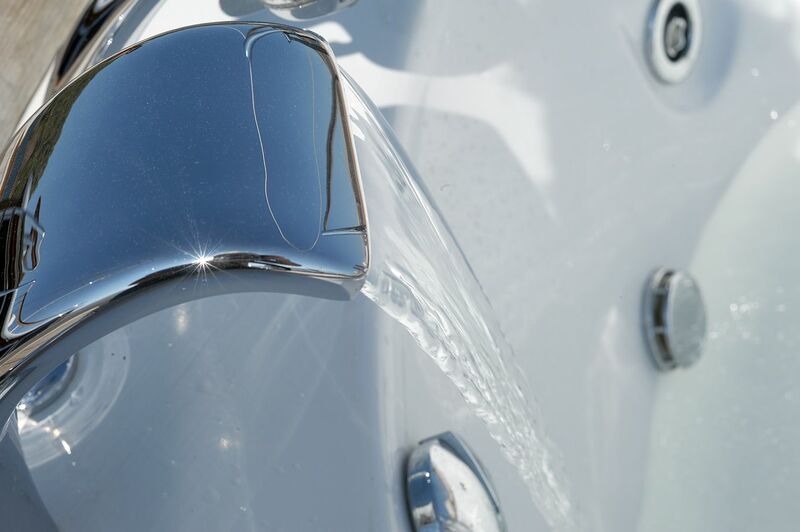 Water enthusiasts will find the good choice of water toys irresistible. 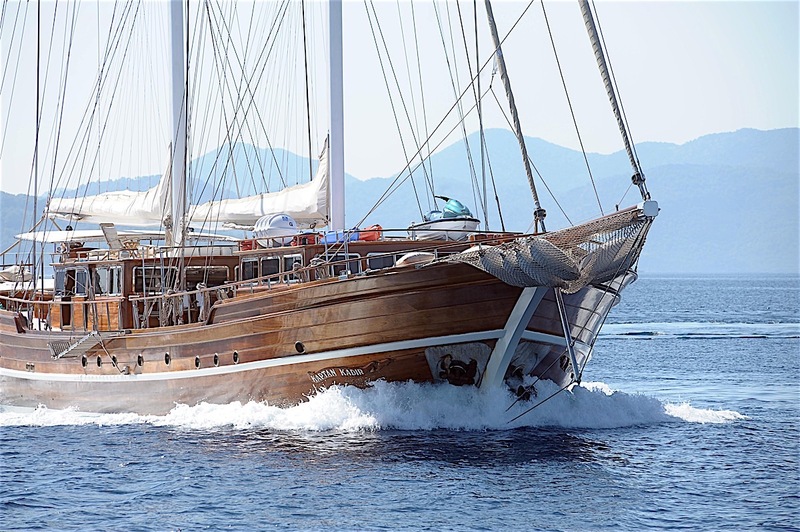 Yacht KAPTAN KADIR has a generous beam of 8.2m (26.8ft) and a substantial draft of 4m (13.1ft), she is powered by 2 x 600hp engines and can reach top speeds of 13 knots, with comfortable cruising speeds of approximately 10 knots. 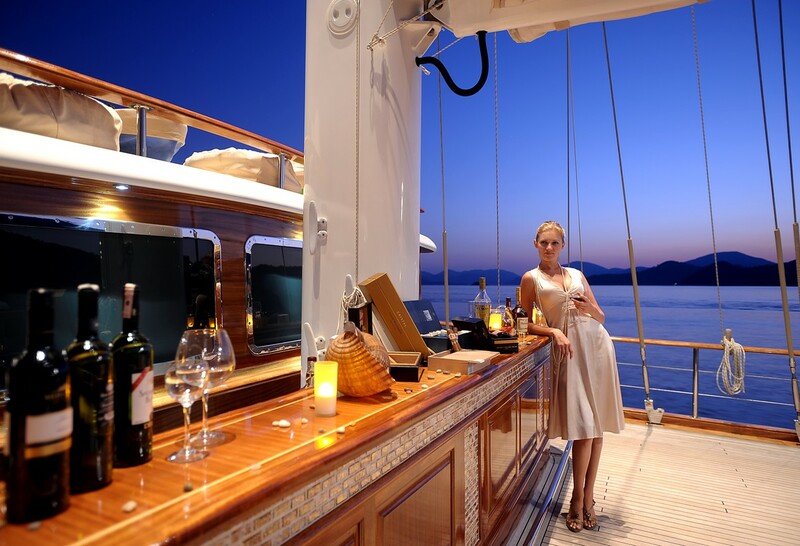 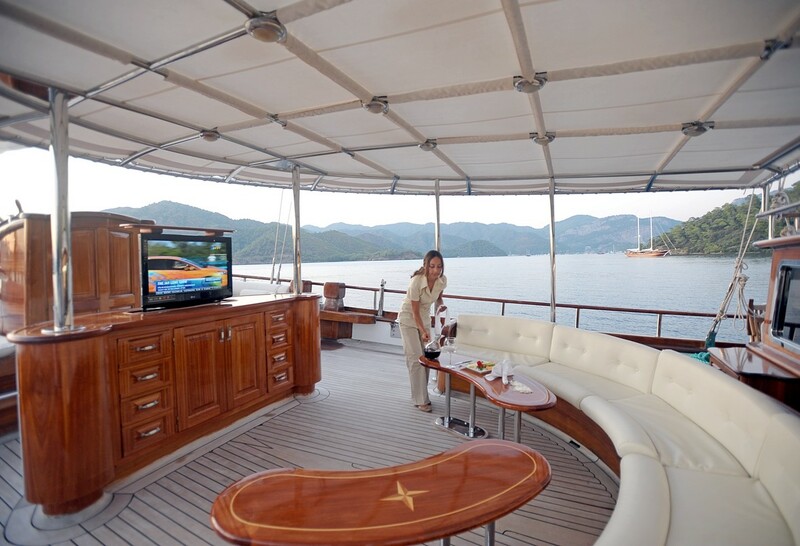 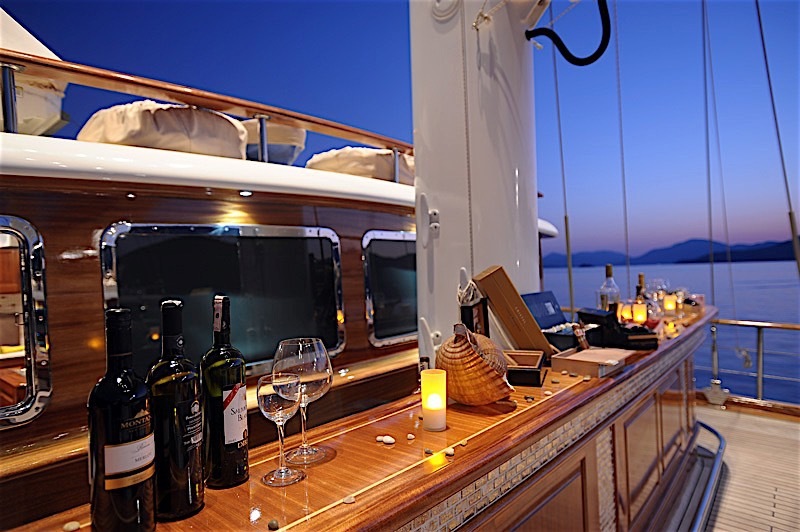 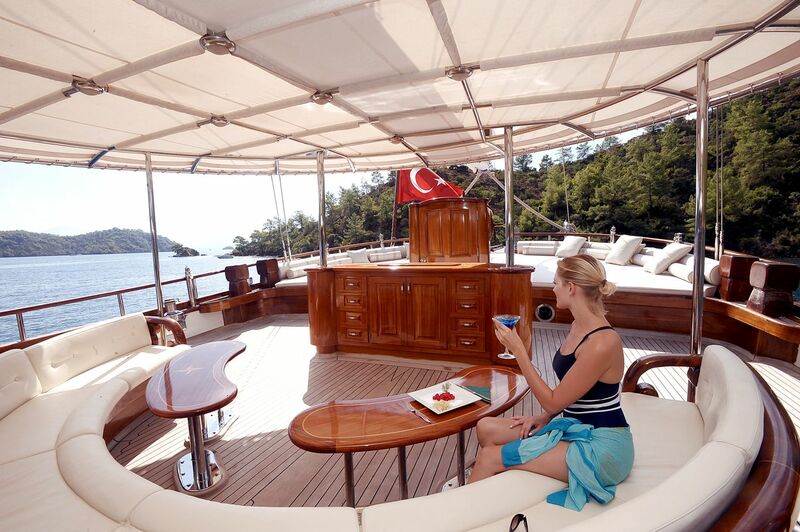 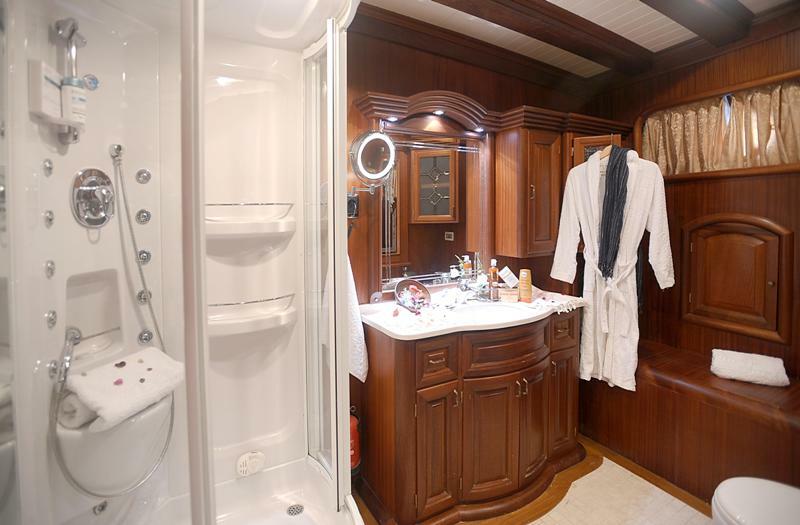 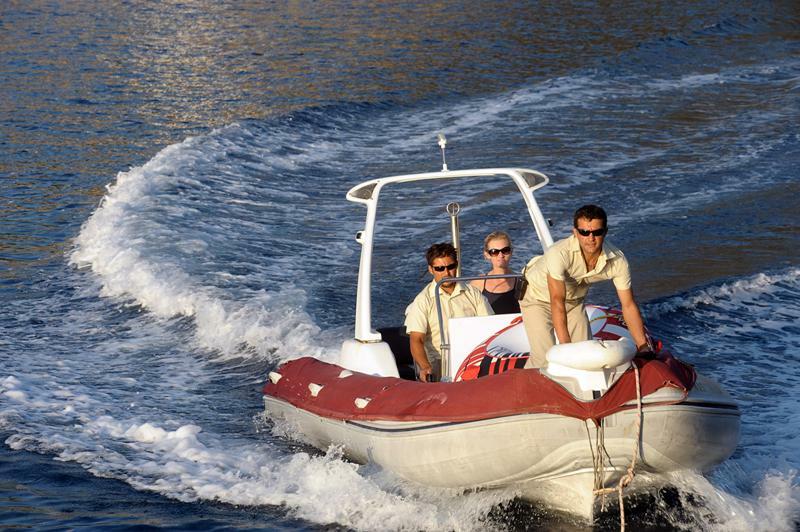 Crewed charter yacht KAPTAN KADIR offers 6 deluxe cabins for 12 charter guests. 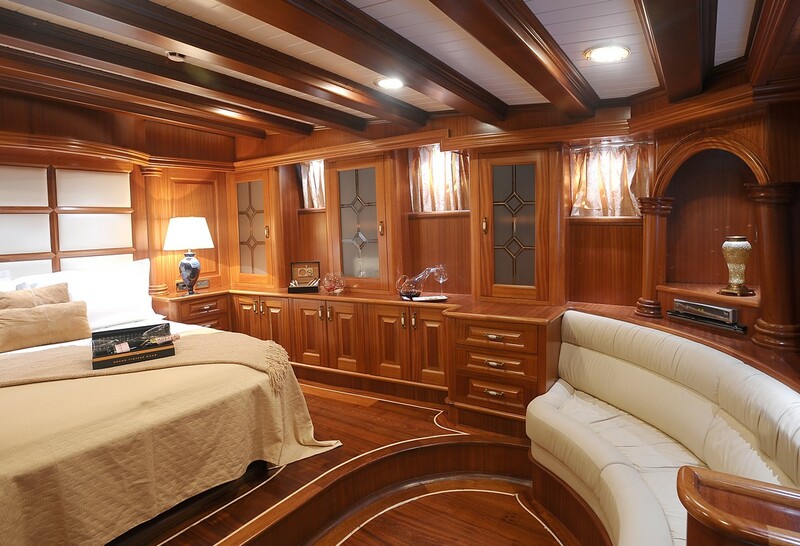 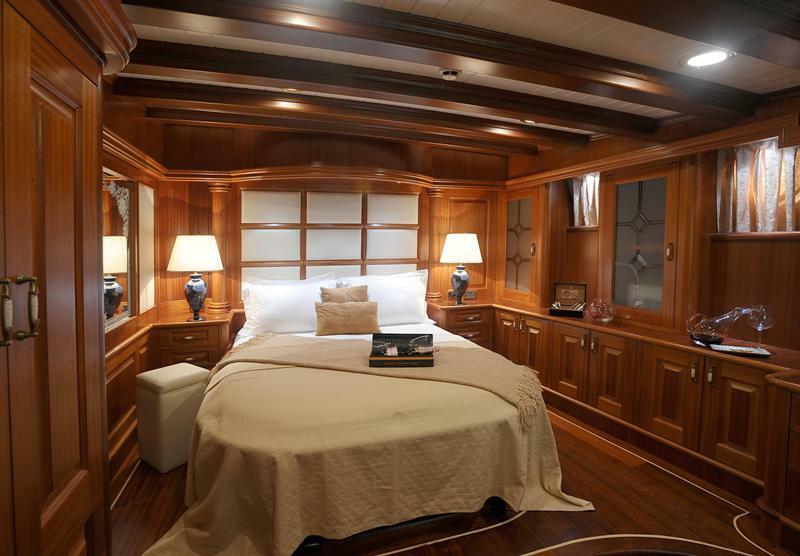 Two master cabins offer king size beds, sofas and vanities. Two VIP cabins have queen size beds and 2 guest cabins offer side by side twin beds. 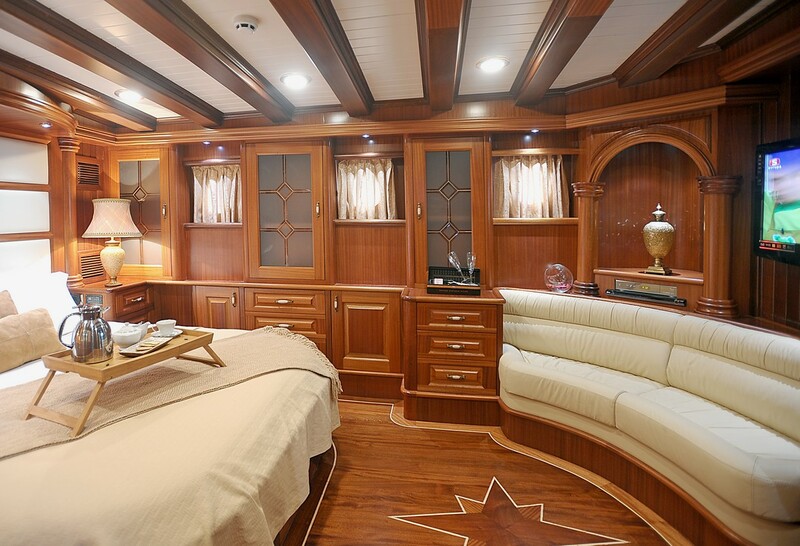 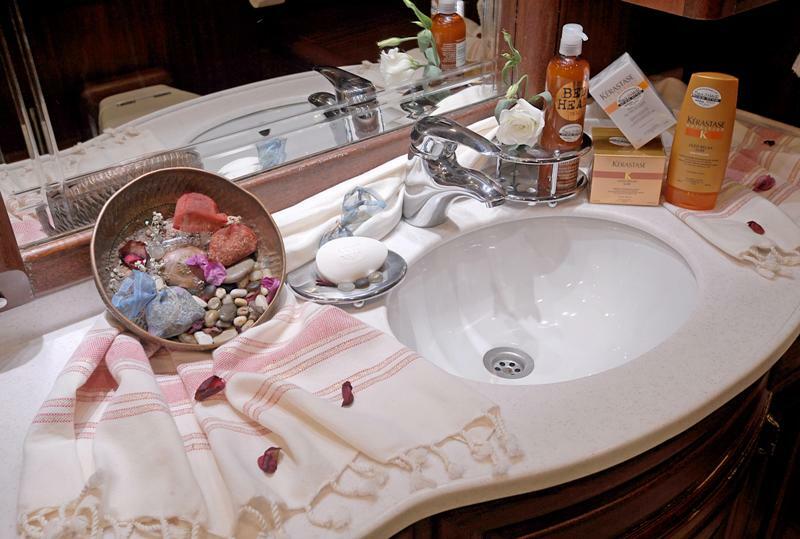 All 6 cabins are tastefully decorated, light and airy. 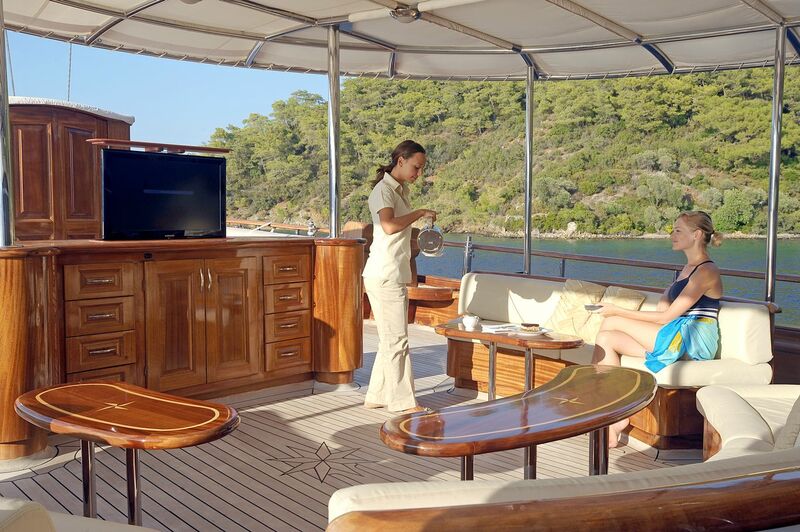 Each cabin offers full air conditioning, TV entertainment and en-suite facilities. 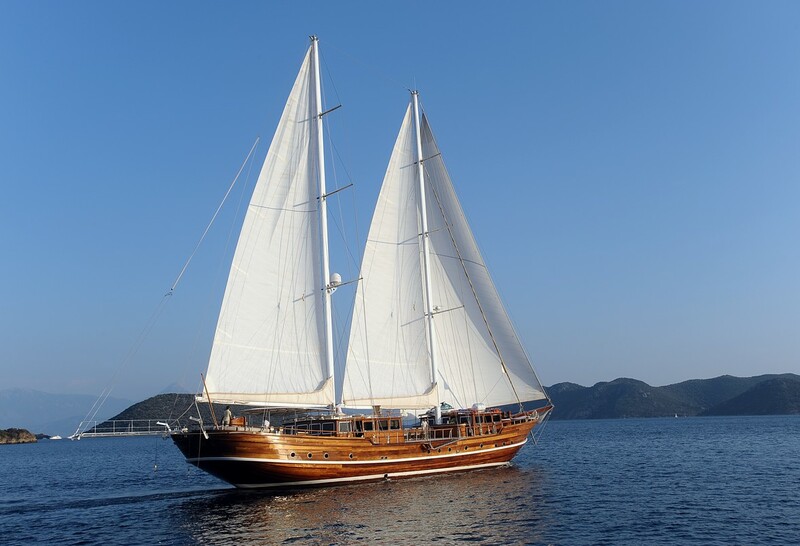 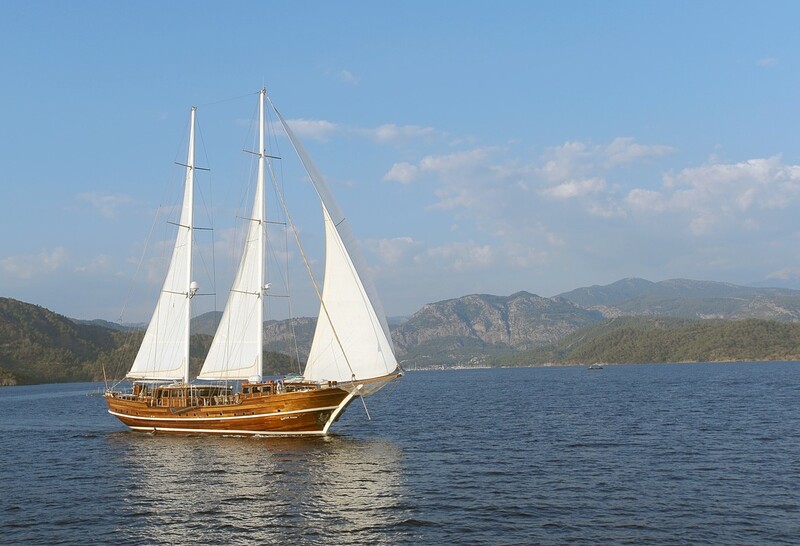 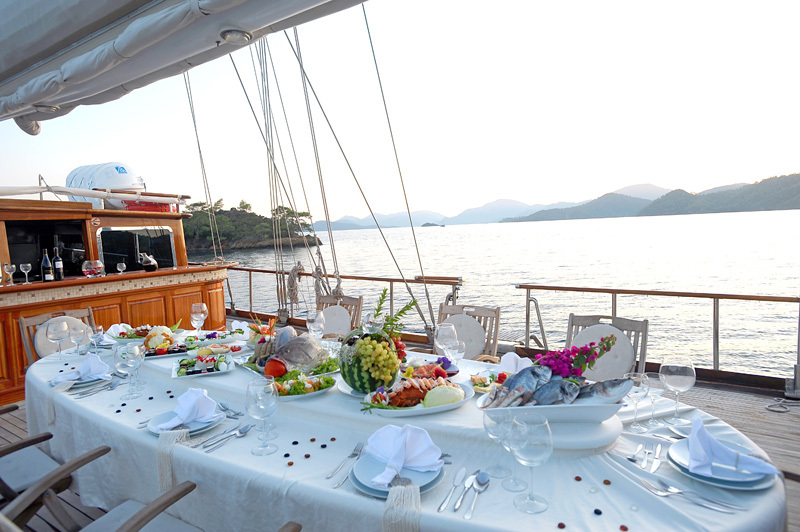 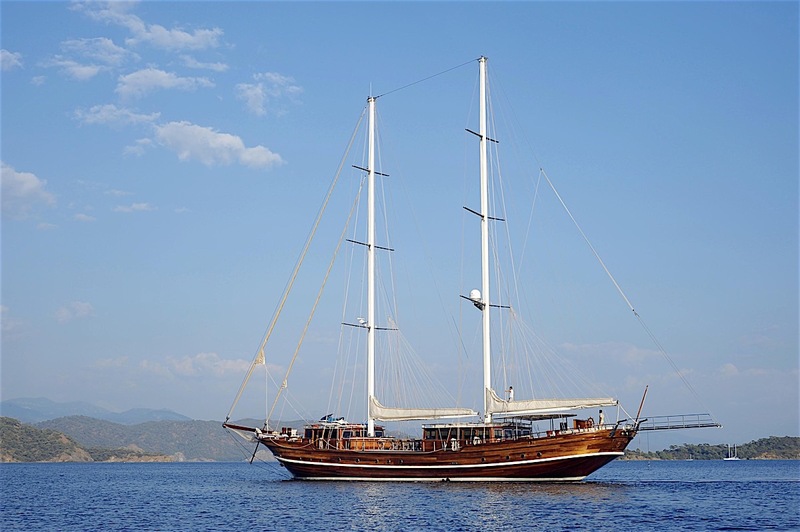 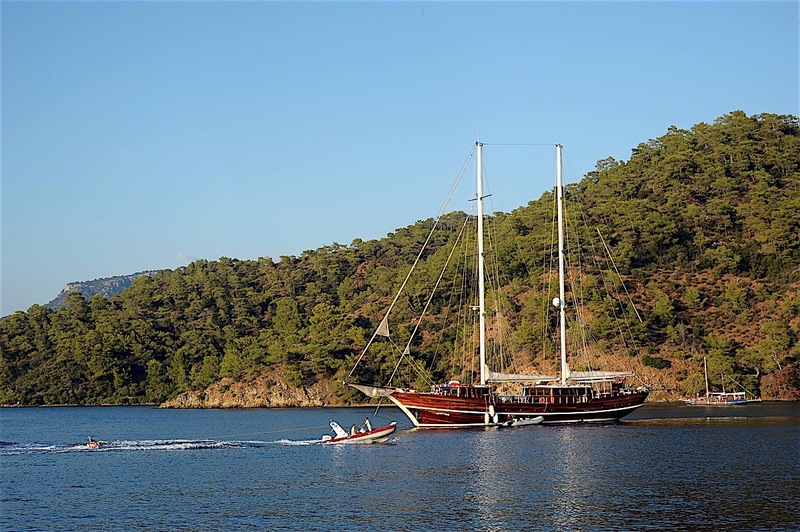 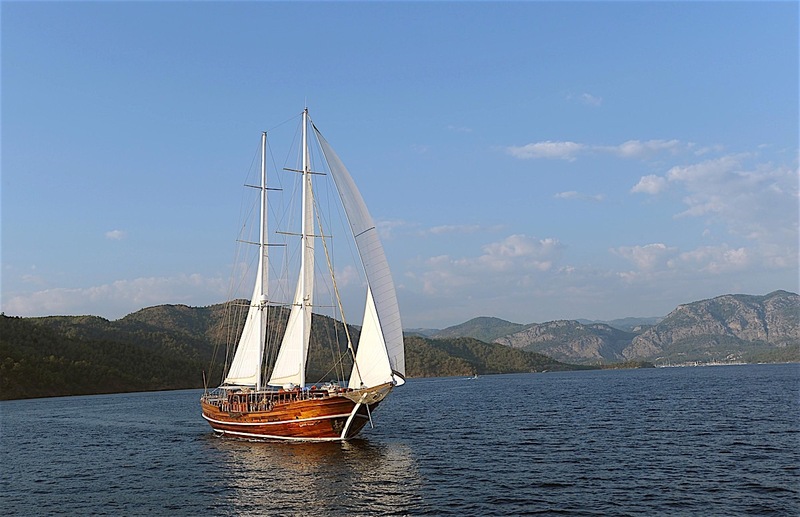 S/Y KAPTAN KADIR is perfect for large groups and families alike. 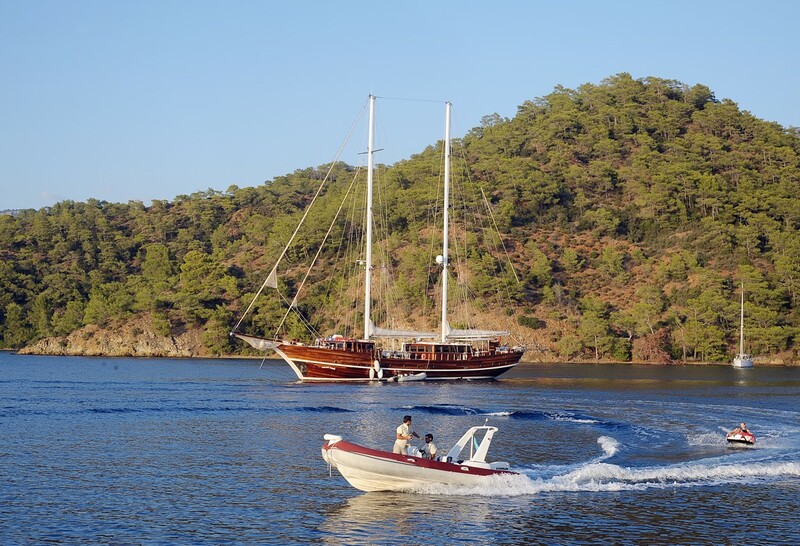 Sailing yacht KAPTAN KADIR offers such amenities as: Tender with 75hp engine, Wave runner, Water skis, Towing ring, Wake board, Kayak, Snorkel gear, TV in salon and all cabins, Satellite, Wi-Fi, Nintendo Wii, PlayStation.